Finding its mission to serve pets in need limited by the constraints of it’s small, 1960s era facility, Seattle Humane sought to build a new animal shelter that would increase the number of animals served while providing a base of operations for their community outreach programs. At 57,000 SF, the new shelter does just that by providing beds for 165 cats and 170 dogs. This 35% increase of animal capacity allows Seattle Humane to take in more animals from high-kill shelters and helps place more pets with adoptive families. To limit disruptions to operations and programming, the new building was constructed adjacent to the existing on the same site, allowing the shelter to remain open throughout construction. The new shelter solves the problem of its steep slope by creating a three-story building that uses the grade to its advantage. The public enters the building by crossing a pedestrian bridge to the main level, which houses public adoption, the cat colony, and a pet store. Heading downstairs, one makes their way to dog housing with access to outdoor play yards and dog runs. Beyond the dog housing is access for animal intake. The upper floor houses offices for shelter staff as well as a large, flexible education space for public events and outreach. 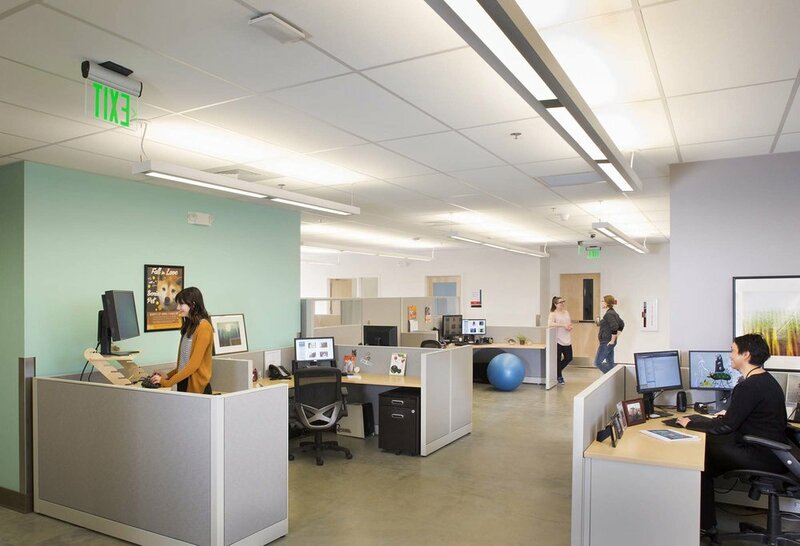 By housing different species and program types on different floors, the Seattle Humane shelter reduces stress for the animals it houses. Working with an acoustical engineer, the building’s design contains noises and prevents the travel of sound across floors. The individual kennels are also designed in such a way as to allow privacy for the animals. 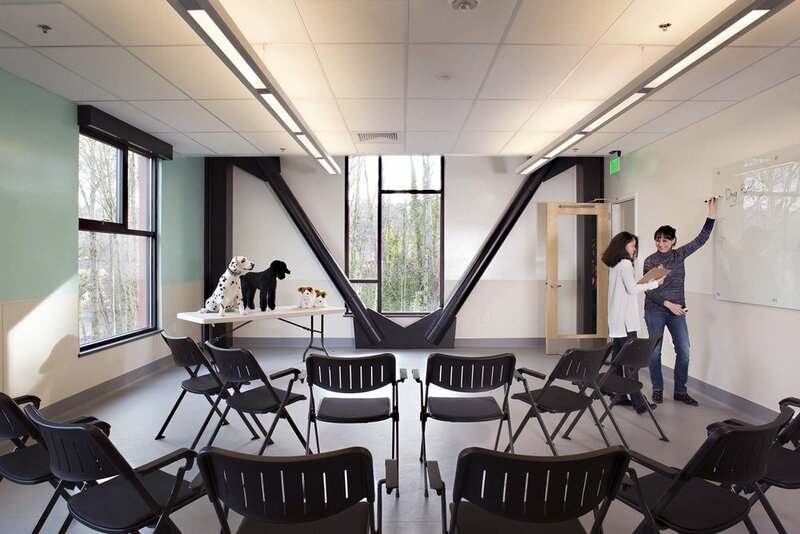 The new animal shelter also houses a veterinary hospital in conjunction with the Washington State University veterinary school. Accessed through a separate entrance on the main floor, this partnership provides a working teaching hospital for students and allows for state-of-the-art care for shelter animals. The shelter also houses an animal food bank that serves homebound community members through delivery options.